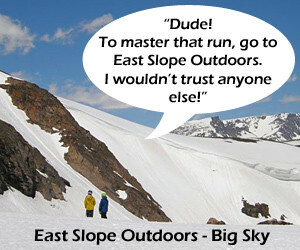 An overview of options for getting to Big Sky and getting around once you are there. Taking a trip to Big Sky, Montana is guaranteed to be exciting, but getting there can seem daunting. Set on Lone Peak just off of Highway 191 about 50 miles from Bozeman and West Yellowstone (1.5 hours by car), right in the heart of the Greater Yellowstone Region, Big Sky feels like it’s all alone in the middle of the mountains, part of the natural appeal of the area. But don’t get discouraged – getting to Big Sky isn’t as hard as it might seem, and once you’re here, well, where else would you want to be? Here’s a little advice and some tips on transportation to and around Big Sky. Having a car isn’t necessary to enjoy Big Sky, especially if you come in the winter and plan on skiing at Big Sky and Moonlight Basin. However, if you want to explore the surrounding area tour the Greater Yellowstone region, a car will make your trip run more smoothly. The nearest car rental companies are located in Bozeman, Montana. Car rentals are also available at most regional and international airports near Big Sky. The town of Big Sky and Big Sky Ski Resort may be next to each other, but transportation between the two can be limited and the distance is, unfortunately, too far to walk, especially with ski gear. If you’re staying in town and plan on being at the resort most days, plan on renting a car or taking advantage of one of the shuttle systems. Do I Need Four-Wheel Drive? It really depends on what you want to do – there are Forest Service and access roads around Big Sky that may require four-wheel drive, especially depending on weather and conditions. To get to and around town, to Yellowstone and most nearby places, four-wheel drive is not necessary. In the winter, having all-wheel drive or four-wheel drive is not a must, but can be helpful. Good snow tires and/or chains are recommended for winter travel. Driving to Big Sky is easy – the town and resort are located just off of Highway 191, between West Yellowstone and Bozeman. If you travel in the winter, be prepared for winter conditions, and always check with the Montana Department of Transportation for area storm advisories and closures. While four-wheel drive is not necessary, snow tires and/or chains are recommended in the winter. If you’re flying, Gallatin Field Airport, in Bozeman, Montana, is the closest major airport, serviced by Delta, Horizon, United, Frontier and Northwest airlines. 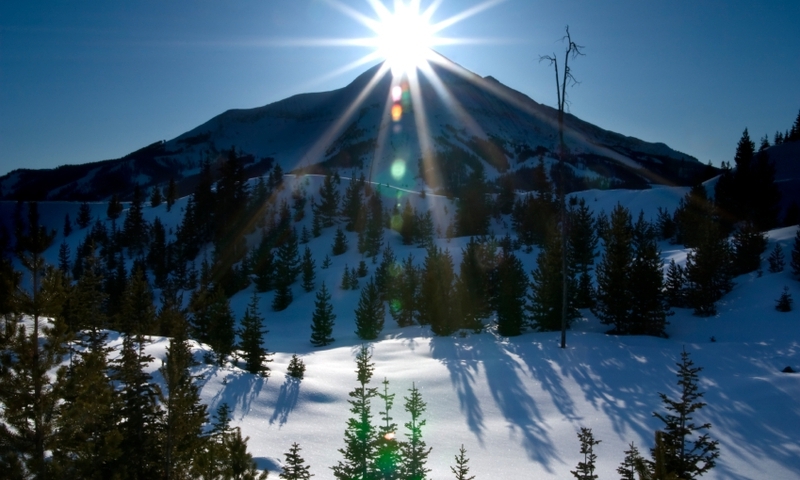 Rental cars and ground transportation to Big Sky are available from the airport and Bozeman. Reservations are required for shuttle service from the airport to Big Sky, so be sure to call ahead. International and regional airports, as well as car rentals, are also available in Butte (approximately 2.5 hours away by car), Billings and Helena (each about 3.5 hours), Idaho Falls and Missoula (each about 4.5 hours) and Jackson Hole (just under five hours). Once you’ve made it to Big Sky, transportation shouldn’t be a problem. In the winter, the Skyline Bus runs free shuttles around the mountain and into town, and taxi and charter services are also available, including daily shuttles to West Yellowstone. Free parking is available at the bases of Moonlight Basin and Big Sky, and additional paid parking is available as well. If you have a vehicle plan on walking or shuttling some, since parking can be limited. While the free Skyline Bus shuttle doesn’t run regularly during the summer, there are some taxi and charter services. Having a personal vehicle is recommended for the summer months, and will make your trip logistically easier. Since there are fewer people, parking and driving should be much easier. Most summer visitors enjoy travelling around the Greater Yellowstone Area, something that you’ll definitely want a vehicle for.